A University of Oklahoma-developed theory provides the rationale for the next-generation particle accelerator—the International Linear Collider. 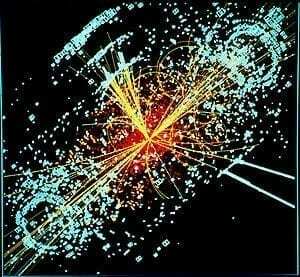 The discovery of the Higgs boson at the CERN Large Hadron Collider in Geneva Switzerland this past year prompted particle physicists to look ahead to the development of the ILC, an electron-positron collider designed to measure in detail all the properties of the newly discovered Higgs particle. Howard Baer, professor in the OU Homer L. Dodge Department of Physics and Astronomy, was one of the lead authors of the five-volume ILC Technical Design Report published on June 12. The report, which presents the latest and most technologically advanced blueprint for construction of the ILC, was celebrated recently by the global particle physics community in three consecutive events in Asia, Europe and the Americas. The OU physicist has spent much of his career developing the theory of supersymmetry or SUSY—a theory which advances particle physics beyond the Higgs boson into new and unexplored territory. SUSY provides one of the major motivations for constructing a next-generation particle collider such as the ILC to complement and advance the discovery capabilities of the LHC at CERN. The ILC will allow particle physicists to study the Higgs particle with much higher precision than is possible at the LHC. However, Baer along with postdocs and students at OU have proposed the theory “radiatively-driven natural supersymmetry,” which predicts that new partner particles of the Higgs known as higgsinos should be produced at the ILC. The properties of higgsinos are such that they may effectively be invisible to searches at LHC. Baer has developed computer code over a 25-year period to calculate super particle masses and production rates for the LHC in CERN. The ILC would be a precision microscope for studying subatomic matter at a deeper level than is possible at LHC.